The University of Urbino "Carlo Bo" is an Italian university located in Urbino, a Renaissance hill-town in the region of Le Marche, in the north-eastern part of central Italy. The university was founded in 1506. 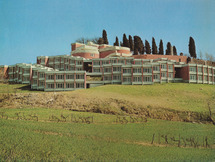 As part of planning to revive Urbino from the beginning of the 1960s, architect.. Constructed in 1995, this building on the university campus of Grenoble for the University of Arts and Human Sciences was the first to be realised by the architecture duo Anne Lacaton et Jean-Philippe Vassal. 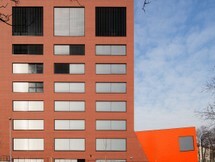 [h]Design Concept[/h]The project is positionned in an alignment of new buildings that.. The architecture faculty at the Technisches Universitaet in Berlin was designed by Bernhard Hermkes and Hans Scharoun in 1966. 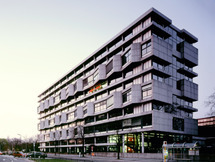 It was the architect Bernhard Hermkes' goal to design a building specifically for the the education and training of architects. This is apparent in several aspects of.. 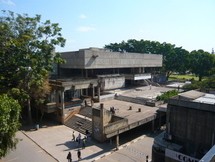 The French architectural partnership Leroy and Mondet was responsible for the university buildings, originally known as the Centre Universitaire du Sangkum Reastr Niyum that line blvd USSR to the west of ITC. The main buildings appear to float in mid-air, almost defying gravity by resting on.. Designed by Russian architects and built with Soviet funds, this gift to Cambodia was an important addition to the growing number of tertiary educational facilities that were planned along the aptly named former boulevard USSR on the western outskirts of the city at Tuol Kok. Georgian Technical University – GTU (formerly V.I. Lenin Georgian Polytechnical Institute), now Technical University of Georgia is main and largest technical university of Georgia. It is located in the capital city of Tbilisi. A building of university viewed from an overhead place resembles the..
National Research University of Electronic Technology / MIET is a Russian technical university in the field of microelectronics and one of 29 National Research Universities. 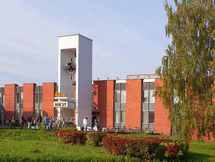 The University was founded in 1965 as Moscow Institute of Electronic Technology and located in Zelenograd, Moscow (the.. 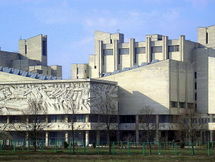 In the 1960s, it became imperative that the Kyiv National University acquire more space for its greatly expanded number of departments. It was with this in mind that the construction of a complex of new buildings for the university started on the southwestern outskirts of Kyiv (opposite the.. 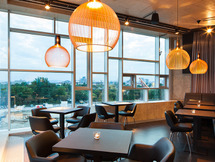 The cafeteria and the restaurant Comida y Pan and Comida y Luz are set in the “Executive Building”, which was designed by the Spanish architects NO.MAD. As part of the selection procedure we were commissioned by the Comida-Crew to develop and.. 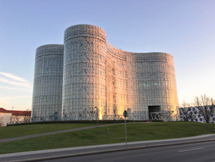 The University Library designed by Herzog & de Meuron was built in the city of Cottbus, Brandenburg state, Germany, in the eastern part of the BTU campus between the University and the city. From the time of the reunification of Germany, the university city of Cottbus,..
“Paper brick” is a waste paper cup pavilion that aims to orientate and raise public attention, regarding awareness on waste recycling and reuse in a small waterfront city in the Marmara Region, Tekirdağ. 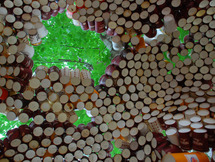 The pavilion was created for the World Environment Day 2015 in Tuğlalı Park, one of the most..
Alena Šrámková and colleagues from her studio won the competition in 2004. 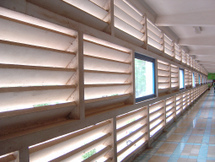 The project was prepared in 2005-2009, implementation of the project took place in 2009-2010. 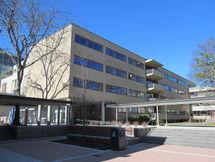 The building was inaugurated on February 22, 2011. 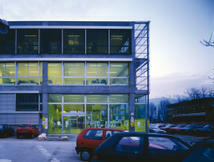 It became the seat of the Czech Technical University, Faculty of Architecture.. The northern edge of the site fronts onto the artery of Viale Bligny, with the clatter of trams, the rush of busses, general traffic, people passing. 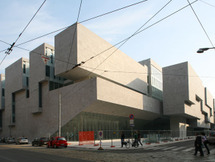 It addresses the throbbing urban life of Milan, weaves into the mesh of the city. 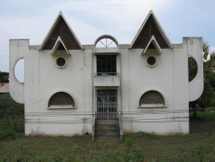 This frontage becomes the architectural opportunity to have a.. The expanding University of Limerick campus has extended across the river Shannon. The Classical Plassey House is known as the 'White House' and so we chose to make a second 'white house' which was to be occupied by the University President. 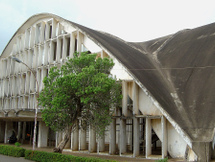 Given it's setting in the more agrarian landscape, this..
Julian Elliot's best known project has been the coordination and development of the design for the University of Zambia, which, when it was produced, was in the forefront of thinking about new universities. 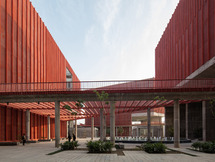 The careful control of open space, the creation of linking elements between buildings, an.. The Harvard Graduate Center is the first modern building on the campus, it was also the first endorsement of the modern style by a major university and was seen in the national and architectural presses as a turning point in the acceptance of the aesthetic in the United States. 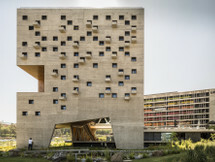 The project is the result of a competition for the revision of the new Diego Portales University Huechuraba Campus masterplan, and the definition of a project for its first phase, the School of Economics and Business of the University. 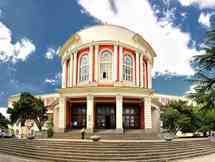 The site is located at the foot of San Cristobal hill,.. Architect's approach was to consider the whole campus as a landscape, and to make a new natural geography out of the buildings. this results in built forms that evoke rocky cliffs and shaded valleys. 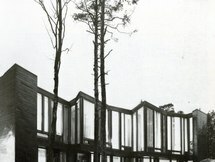 the provision of cooling and shade through floating podiums, covered walkways, and walled gardens..
"When Helsinki University of Technology moved from Helsinki to Espoo in the early 1960s, an architecture competition was held for what would become the new building for the Student Union of the university. 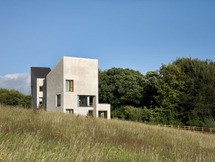 Due to the challenging rocky location and adaptability requirements none of the competition..